How are we already in the 6th week of the year? It’s flying by so quickly…my baby girl is going to be 1 in just 12 weeks! I’m not ready for that! 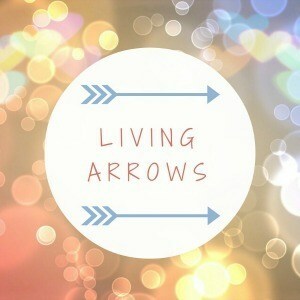 Week six of the year also means that were are in the sixth week of Living Arrows. On Saturday we decided to go out for a walk by the river in Cookham. It was a gorgeous sunny day, and quite warm too. (Can I claim this as one of my ‘doing more family days out‘???) Isla fell asleep in the car on the way over there…which was part of the plan! It was a pretty muddy walk, and we didn’t get far at all really, as we came to the first kissing gate and the mud was so thick and widespread that we decided that we would need to carry the pushchair over it (even though it’s an all terrain pushchair – it was that bad!) and I really didn’t fancy risking going A-over-T into a big puddle of mud! It’s really nice to get photos of Chris and Isla together. 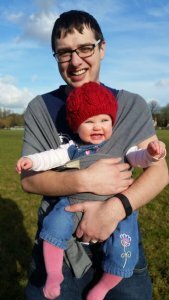 It took several attempts, as either Chris was squinting, Isla was looking away, my shadow was in the photo, Isla’s hat had slipped down, one of them was pulling a silly face, etc. etc. etc. It took a long time. But I think it was worth it. 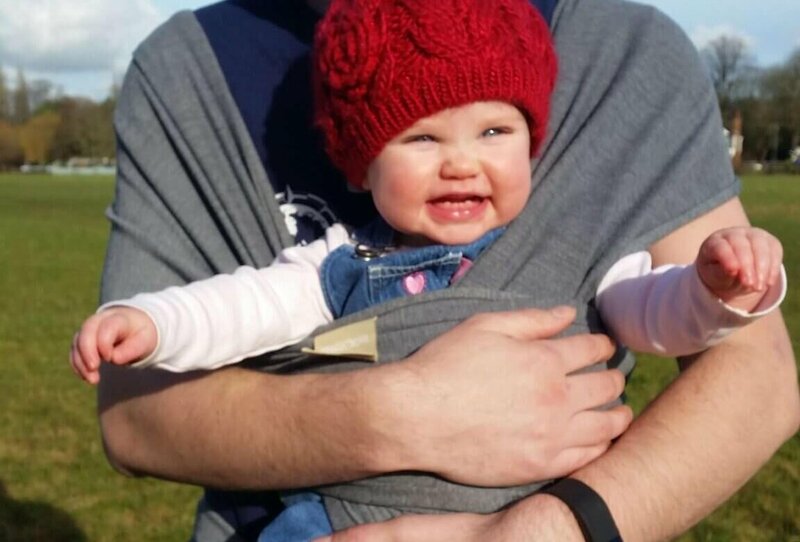 My smiler Isla and her Daddy.